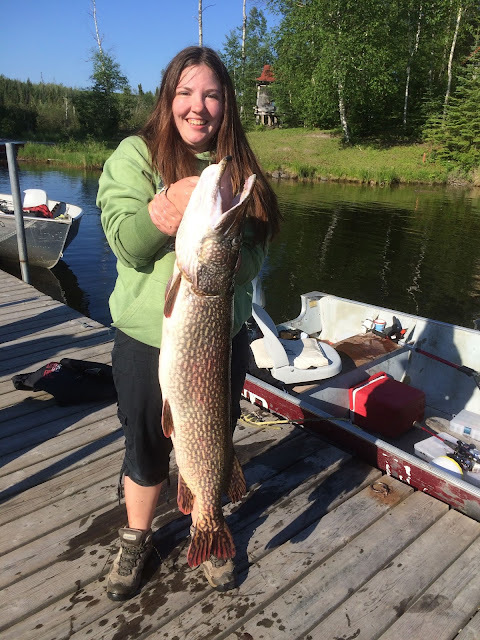 Black Bear Lodge Blog: We have a new Pike leader! We have a new Pike leader! Bridget Spaeth boated this giant pike this morning before breakfast. The fish measured 45 inches long with a girth of 21 inches. It weighed in at 23 lbs! She caught it on a jig and artificial minnow. Sadly she was unable to revive the fish. Occasionally it is hard to revive such a large fish after bringing it up from very deep water. Bridgette and her brother Billy tried valiantly for 45 minutes to get the big fish to swim off but just could not get him revived. 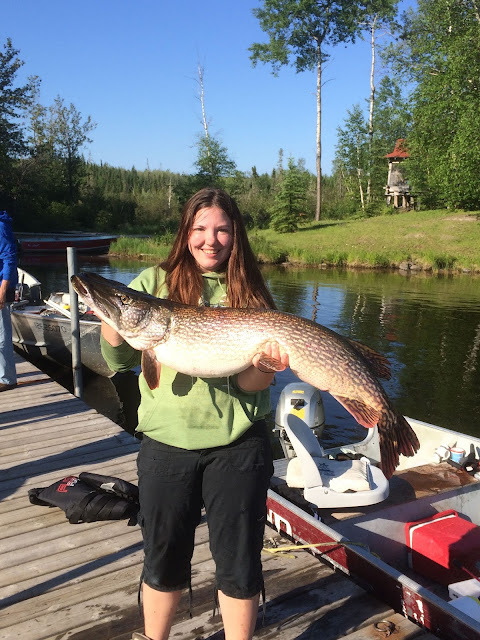 Bridget plans to have the monster pike mounted. It is truly a fish of a lifetime and I am sure she will do the fish justice by re-telling her story every time someone sees the mount hanging in her house. Way to go Bridget!! Another great week for the Yorkville group. When it comes to BIG pike, girls rule!! A picture recap from last week...enjoy.